OXFORD, Miss. 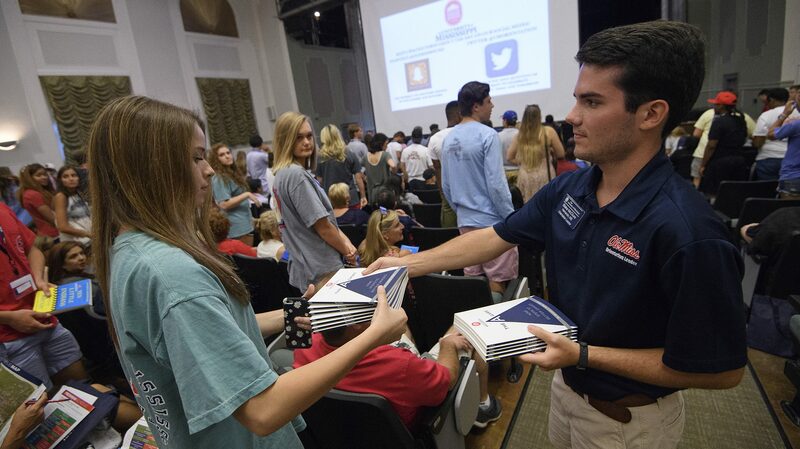 – The University of Mississippi is asking community members to help select the book that will be read by the Class of 2023 for the Common Reading Experience. Anyone in the Oxford-Ole Miss community – students, faculty, staff, alumni or residents – can submit nominations. The Common Reading Experience project started in 2011 as a way to cultivate community and learning among the freshman class. The selected book will be provided to all entering freshmen and transfer students, and they will be required to read it before the 2019 fall semester begins. “Reading and the exchange of ideas are at the heart of learning, especially in higher education,” said Leslie Banahan, assistant vice chancellor for student affairs and committee co-chair. “The Common Reading Experience provides opportunities for students, faculty and staff to engage in discussions about one book and one author. The CRE selection subcommittee will meet weekly from Oct. 10 to Nov. 14, and again on Jan. 23. Nominations can be made via the online form at http://umreads.olemiss.edu/suggest-a-book/ through Nov. 6. Community members are urged to participate in the nomination process to help assure suggestions come from a diverse group. The key aspects of the book are that it be less than 400 pages, written by a living author, available in paperback, published within the last five years and accessible to students and others in the community. This was the first year that the book selected for the Common Reading Experience was authored by someone who is no longer living, but this was a unique situation because the author is William Faulkner. When the Common Reading Experience was created, the founders envisioned focusing on a Faulkner work one year, and 2018 was selected as that year. 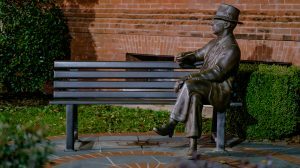 Faulkner’s “Collected Stories” was the designated Common Reading Experience book for Ole Miss students starting this fall. Past readings include “Just Mercy” by Bryan Stevenson (2017), “Ten Little Indians” by Sherman Alexie (2016), “The Education of a Lifetime” by Robert Khayat (2015), “The Girls of Atomic City: The Untold Story of the Women Who Won World War II” by Denise Kiernan (2014), “The Unforgiving Minute: A Soldier’s Education” by Craig Mullaney (2013), “Crooked Letter, Crooked Letter” by Tom Franklin (2012) and “The Immortal Life of Henrietta Lacks” by Rebecca Skloot (2011). Everyone in the Ole Miss community is encouraged to read the CRE book. “There are a thousand ways for students to learn, from downloads to blogs, but books will always be the cornerstone of their college experience,” said Kirk A. Johnson, associate professor of sociology and African American studies and co-chair of the Common Reading Experience selection subcommittee.